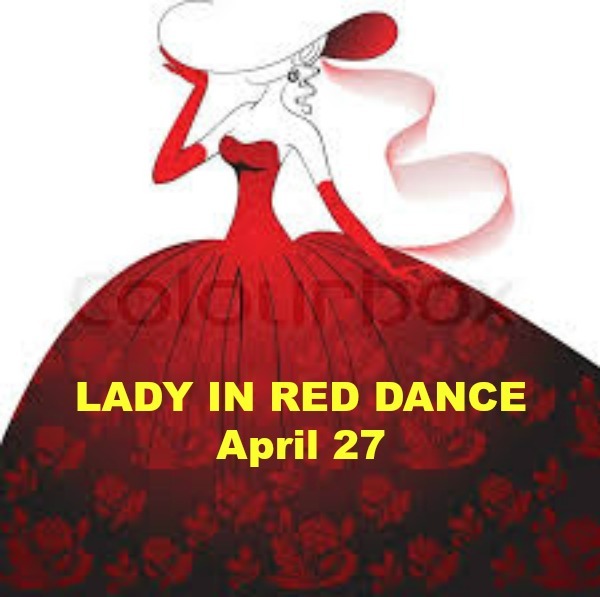 Our annual Lady in Red Dance is always well-attended. Tonight we have a hotel ballroom that can accommodate 300. Please help us fill it. Bay Area bachelors are invited to meet that very special Lady in Red at this fun party! Gifts for the best-dressed ladies in red. $15/advance (by April 26) or $20/door includes dancing to your favorite hits. Dressy attire requested. Adults of all ages welcome. Saturday, April 27, 2019, 8pm-Midnight. LOCATION: DoubleTree by Hilton Hotel, 835 Airport Blvd, corner of Anza Blvd., Burlingame CA 94010. From Hwy 101 headed north take Anza exit. From Hwy 101 headed south take Broadway exit; go across fwy; right on Old Bayshore; L on Airport Blvd. Free parking in parking lot in back of hotel, up the hill, last driveway on Anza Blvd before going onto Hwy 101. The parking lot arm will be up when you leave the party, so you don’t have to pay for parking! CO-SPONSORED by The Society of Single Professionals, the world’s largest non-profit singles organization; Bay Area Singles Events & Travel, SF Bay Area Singles Events, Your Asian Connection, and many other singles organizations and meetups.